Home » General News » Happy Birthday wishes for horses everywhere…. Happy Birthday wishes for horses everywhere…. Regardless of their actual birth date,the official administrative birthday for horses is tomorrow, January 1st. This date originally came about to make it easier to define age groups in racing for Thoroughbred horses. Nowadays, January 1st is marked as the horses official birthday in most Northern Hemisphere countries including France (in the Southern Hemisphere it is 1st August). Foals of most (but not all) breeds of horse born here in France are traditionally named starting with a different sequential letter each year. The letter for 2010 is ‘A‘, so if you have foals due this year you may want to take a look here at some horses names beginning with A for some inspiration! Have you remembered to get your new calendar or diary for the coming year? 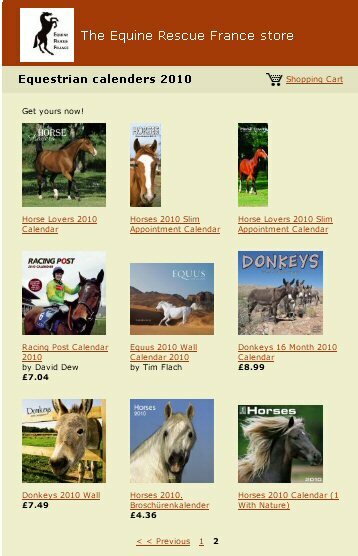 If not, then please take a look at the calendar section on our Amazon Store where we have added lots of beautiful calendars and diaries.